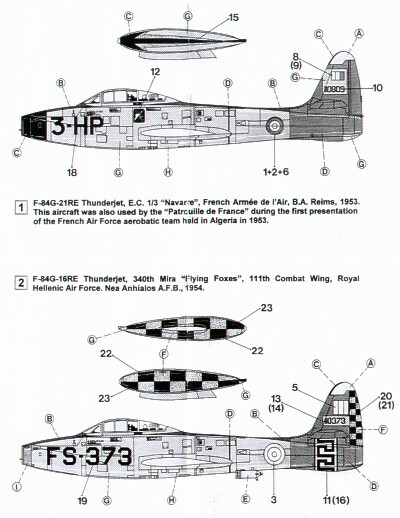 Republic F-84E/F-84G Thunderjet in service with the (R)Neth.AF. 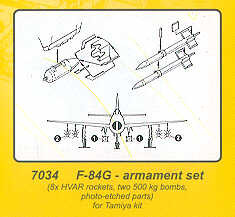 Written by Tim van Kampen. 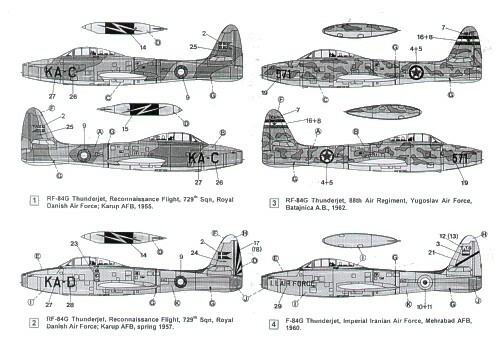 A4 publication with 48 pages in black and white and with colour profiles of this a/c. 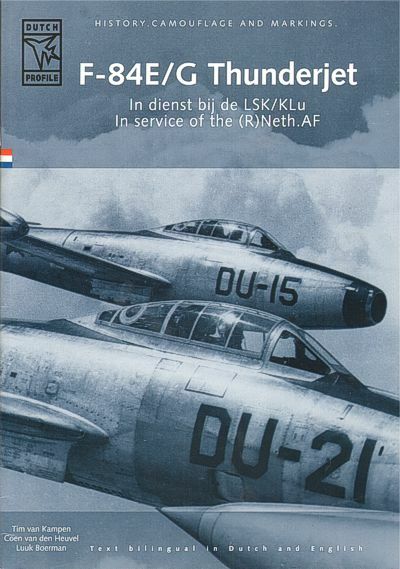 Many new pictures of the Thunderjet during his service in the Netherlands. 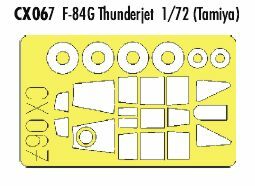 Also available in may 2011 three decalsheets in 32, 48 and 72 scale for the Thunderjet. 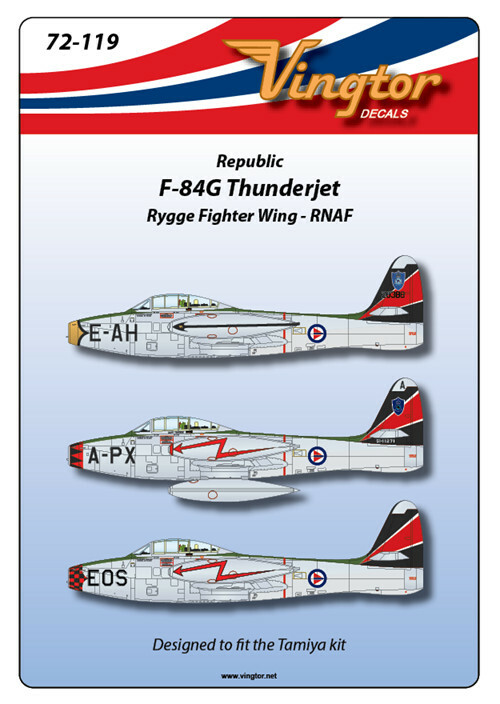 Date of release may 2011. 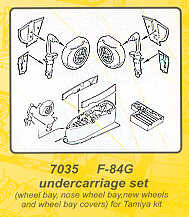 Text bilingual in Dutch and English. 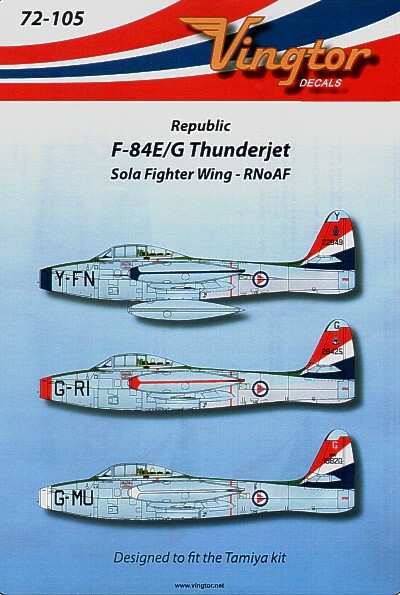 Republic F-84G Thunderjets. 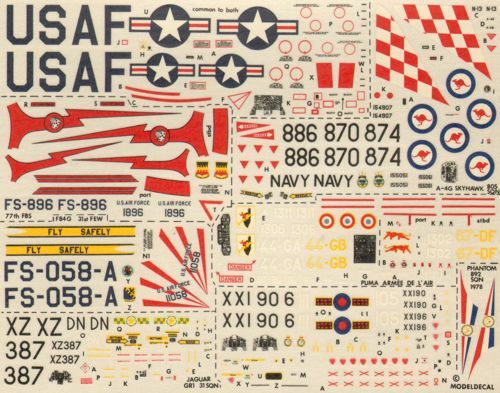 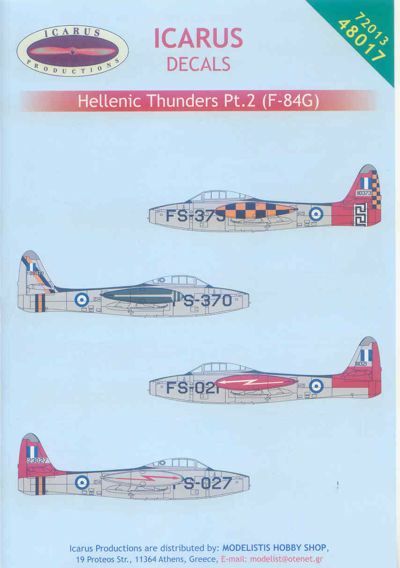 This decal sheet allows you to build various F-84G Thunderjets that have served with the Hellenic Air Force in 1/72nd scale. 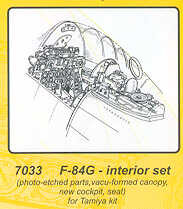 Detailed instructions are included, as well as profiles for various impressive aircraft in Natural metal. 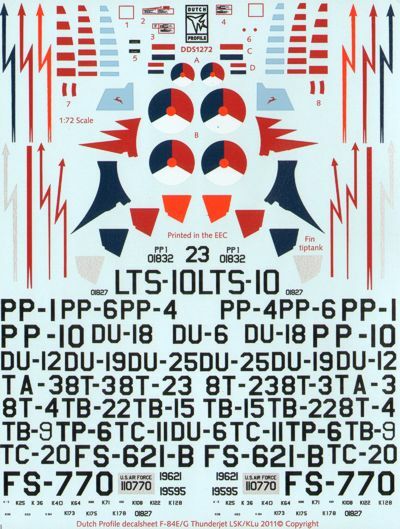 No less than two full sets of national insignia and two sets of basic stencil data are provided. 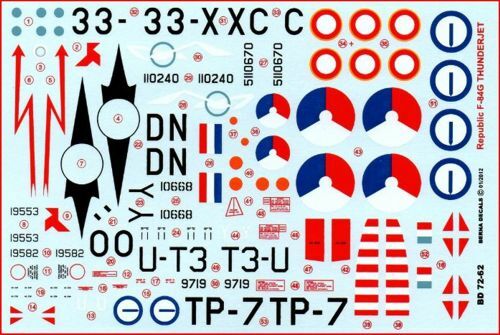 All our decals are printed in Italy by Cartograf.